If you’re after a property portal then Agentpoint can help with the perfect solution. To date we’ve been involved with the construction of various property portals which utilize our property listing system Zoo Property. There a few key elements which you need to make sure you get right when developing the infrastructure for a property portals. Your property portal will not succeed if it only allows real estate agents to list properties manually through the back-end of your website. Agent’s simply do not have time to be entering properties manually on different property portals. The way most real estate offices function is they list a property in their system and then it is automatically sent to any property portal the agent would like to advertise the property on.This happens via XML and is how real estate data is passed around between different entities in Australia and also across the World. Therefore your property portal needs a system whereby it can accept these XML’s from various real estate software companies and then add these to your portal’s database. This can be an expensive and cumbersome to build and also requires ongoing maintenance and excellent server resources to continually import this data. Instead of our clients having to outlay the resources to develop and maintain this system. 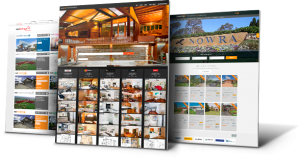 We can integrate our Zoo Property system which will import the properties from any real estate software provider in Australia and then display these on your property portal. Agents can also manually enter properties through Zoo Property which will then appear on your property portal. Another advantage of using Zoo Property as your property importation system is that we already have a connection and relationship with the real estate software systems in Australia who will be sending the data. Some of these companies will not deal with businesses without a proven track record and others will take months or paperwork and due diligence before they will approve your feed. Even if your a free to list property portal, agents will still want to receive feedback in relation to the number of page views and property enquiries received for their properties. This functionality is pre-built into Zoo Property so agents can view this information as often as they like. We’re also looking at including technology which will send weekly analytics to vendors or agents directly from your portal. There are a number of real estate search engines operating across the World. These websites/portals allow property seekers to search for property and then direct the user to the website which the property listing originated from. This is great branding and SEO for your portal as it will drive traffic back to the listing on your portal. We can setup Zoo Property to export of the listings for your property portal to any of these real estate search engines. Some of them who we currently export to include Google Real Estate, Trovit, Vast, Enormo and Suburb View. To be a successful property portal you must connect with as many property seekers as possible. We help you achieve this by making sure your portal syncs with social networking sites like Twitter and Facebook. We also can create a Mobile Phone website, tablet and iPad websites, and iPhone applications. This allows your property portal to provide an excellent user experience for property seekers regardless of the means they are browsing your website. Now we have discussed the back-end functions of your property portal we can focus on what you can provide property seekers through the front-end of your site. Basically, because we’ve been building real estate systems and applications for over 10 years we already have a lot of existing technologies and functionality you would need in your real estate website. Things we don’t have then we’d be able to develop and also include any of our latest technology. At the bottom of the page is a list of existing features your property portal can include and we’d be happy to discuss other features which are not there. You can choose what is displayed on the homepage of your custom website with featured listings, current listings, properties of the week, tags, news articles and team members just a few options you have. Each property page includes a Walkscore map highlighting what amenities, shops, schools, parks, transport and other useful things are within walking distance of a property. It also provides a Walkability Index rating the property in comparison to other properties. All Agentpoint websites are integrated with Google Maps allowing users to easily view the location of a property via a Google map. Don’t worry you have the option to not display the property on the map if you or your client would like to hide the address. Sites can be integrated with Google Street View allowing property seekers to perform a 360 degree virtual tour from the street out the front of the property. Property seekers can add listings to their favourites list allowing them to come back at a future date to view. Whether it is a day or one month their list will contain any listings they have added as favourites. Please note users must be logged in to see this feature. Your office website can allow website browsers to download a v-card containing the contact details for any of your team members. This v-card can then be importing into their Outlook contacts. Your office website can allow website browsers to download a the open inspection or auction time for a property which will automatically save these as an appointment in their Outlook calendar. Keep property buyers on your website for longer periods of time by providing them with the latest mortgage and stamp duty calculators helping them make informed decisions about property investment. Mortgage Calculators can be adjusted for different countries and states. Each office receives their own personal profile page so they can promote their skills and experience. They can include a personal description, contact details, logo, current listings, testimonials and recent sold listings. Agentpoint websites integrate with your Twitter or Facebook account allowing your organisation and team members to stay connected with clients and friends. You only need to set this up once for Twitter and facebook and it is fully automated from that moment on. Users of your website can quickly find properties they are looking for with our Quick Search Facility which allows them to enter a property id or quickly submit a few search criteria into the search box. There is also a Detailed Search functionality and a Hyperlink Filter Search which allows users to eliminate search criteria. All of your photos/images are displayed beautifully with Thickbox integration. This includes photo description and also tags and is used in photo galleries and with floor and block plans. You can also choose SlideShow Pro in place of the Thickbox Galleries. You can have the ability to have Videos and Podcasts added to property pages and articles. Videos can be displayed in Quicktime, AVI or WMV. Podcasts also come with their own media player. You should setup your own YouTube.com or Video.com account first fro videos. All Cforms Enquiry forms can be protected by our Spam protection module which asks a simple question to the user before processing. This aids in reducing the amount of spam you will receive on forms across the website. Users of your website can subscribe to content from within your website including property and news alerts. These users will then be sent an email notification each time a property is added which matches their criteria or when a news item is published to your site. Your website can be setup so users who have subscribed to your property alerts or contacts we have imported into your database can receive alerts. The Alerts are sent daily and will send an email containing any properties which match the subscribers criteria. A subscriber could narrow their preference down to suburbs, property type and price. 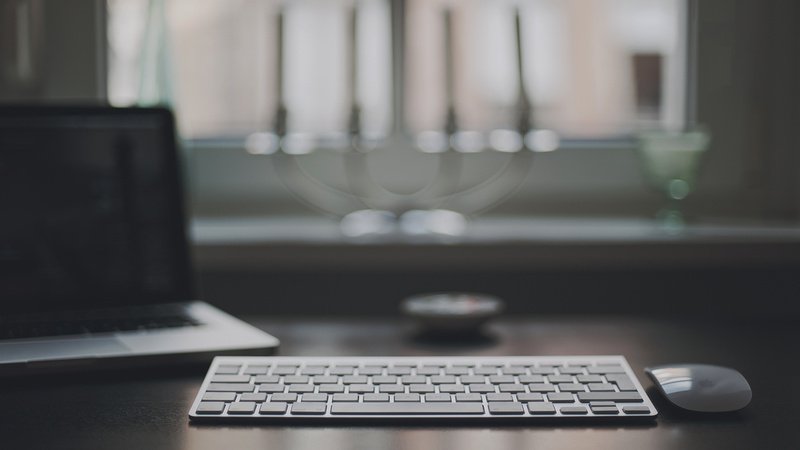 Users of your website can subscribe to new content or property listings added to your website. In short RSS allows users to subscribe to bits of information without having to supply an email address and they can view that data without having to be on your website. To learn more about RSS click here. You can create categories for News and Media Releases and create news items under those categories. You can add pictures, links, files and even movies to these media releases and have these sent to subscribers list both by email and RSS feeds. You can create Search Engine Optimised Title Tags to any post or page and these will be displayed in the browser and be added to search engines such as Google, Yahoo and MSN. We also recommend the All In One SEO Pack which automatically tags post and pages for search engine optimisation. Agentpoint websites dynamically create search engine optimised title tags, descriptions and keywords to every single property listing on your website. You can manage these yourself and add you own style of tagging which once setup is fully automated. All Agentpoint websites are 100% Sitemaps compliant. Which means they can be registered with Google, Yahoo, MSN via their sitemaps online applications. Sitemaps is a way of identifying to the major search engines every single page on your website that their search engines crawlers can crawl and add to their search engines. Traditionally you would have to wait for their search engines to find you are submitting to these sites. Not any more, Agentpoint sites come as standard with this application. All Agentpoint websites come with Google Analytics installed which provides you with a weekly summary of traffic sources and where they have visited on your website. Google analytics are extremely comprehensive allowing you to measure your online strategy and where it can be improved. At the heart of Agentpoint lies a powerful content management system (CMS) that gives you the power to make changes to your website’s content whenever you wish. Agentpoint websites feature short URL technology for all property listings, allowing direct access through a simple URL. Agentpoint’s property search algorithms are geolocation-aware, allowing your visitors to perform searches based not only on suburb and postcode, but also within a specific radius of target properties, addresses or other points of interest.